On the heels of its announcement that it plans to begin landing spacecraft on Mars "as early as 2018," Hawthorne, California based SpaceX has revised its standard pricing to include trips to Mars and updated the specs for both its Falcon 9 and Falcon Heavy rockets. 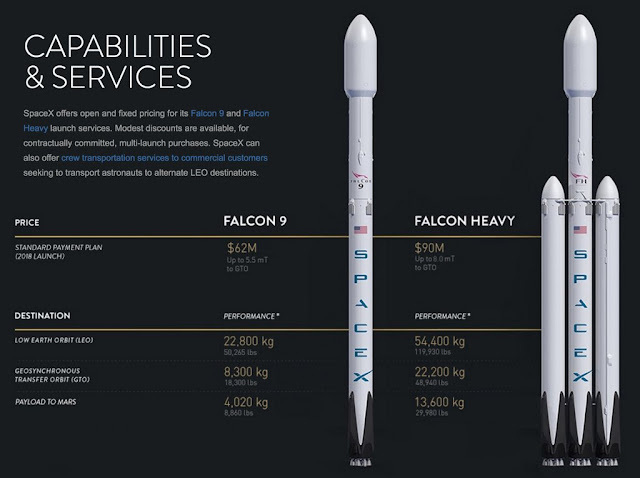 Updated graphic showing Falcon 9 and Falcon Heavy capabilities. According to the NASA Jet Propulsion Laboratory (JPL), the NASA Mars Science Laboratory (MSL), which successfully landed the Mars rover Curiosity in the Gale Crater on August 6th, 2012 weighed 899 kilograms (1,982 pounds). The total mass of the MSL spacecraft (including entry, descent and landing system plus the fueled cruise stage) was 3,893 kilograms (8,463 pounds), well within the current rated capacity of even the Falcon 9. However, the current estimated mass of the Orion Multi-Purpose Crew Vehicle (Orion MPCV), a NASA designed spacecraft intended to carry a crew of four astronauts to destinations beyond low Earth orbit (LEO) is 25,848 kilograms (56,985 pounds) or approximately twice the amount the Falcon Heavy is capable of transporting to Mars. Graphic c/o SpaceX. As outlined in the May 1st, 2016 Engadget post, "SpaceX: our Falcon rockets are more powerful than we thought," A Falcon 9 "is now known to be capable of hauling 50,265 lbs to low Earth orbit, up from just shy of 29,000lbs. The Falcon Heavy, meanwhile, will carry 119,930 lbs instead of the previously promised 116,845 lbs." Last Wednesday, SpaceX announced via Twitter that it intended to "send a spacecraft to Mars as soon as 2018." As outlined in the April 30th, 2016 Yahoo Finance article, "Here's how SpaceX plans to land on Mars in 2018 using the most powerful rocket in the world," the mission will involve "sending a spacecraft called the Red Dragon (an upgraded SpaceX Dragon spacecraft) to Mars to retrieve samples collected by NASA's Mars rover and then return them to Earth." "Red Dragon" is essentially a Mars sample return mission using SpaceX hardware. 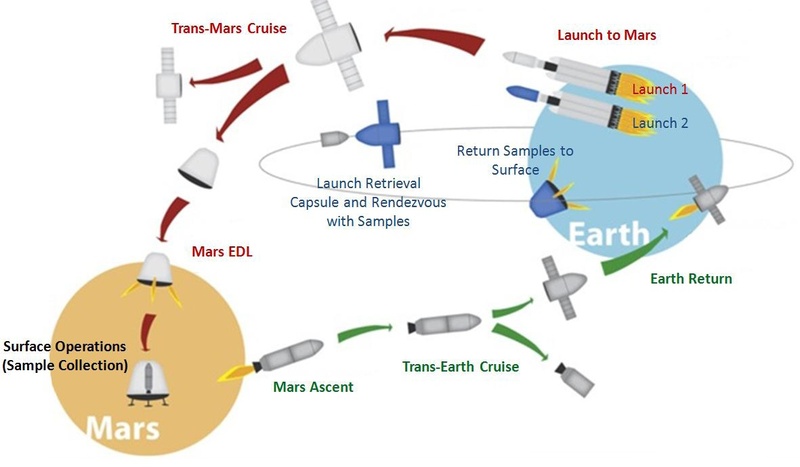 As outlined in the March 7th, 2014 Space.com post, "Project 'Red Dragon': Mars Sample-Return Mission Could Launch in 2022 with SpaceX Capsule," the Red Dragon would be customized to carry the gear needed to return samples gathered on Mars and would include a Mars ascent vehicle (MAV); an Earth return vehicle (ERV); and enough hardware to transfer to the ERV a sample collected in a previously landed rover mission. Graphic c/o Space.com. But the key to SpaceX's current Mars initiative isn't new technology. It's the business case. As outlined in the May 1st, 2016 NASAWatch post, "The Real Cost of a Red Dragon Mission to Mars," the SpaceX Falcon Heavy has a list price of $90Mln USD ($113Mln CDN). But SpaceX adds a hefty margin to its costs. Also, SpaceX is starting to build up an inventory of used first stages that they put into rockets and sell for something like 30-40% less than a new Falcon. Of course, they make a profit on these reused Falcons too. Conceivably they could build a Dragon Heavy for Mars mission use out of used Falcon first stages. Of course there's the cost of a Mars-capable Dragon V2 (aka "Red Dragon") that has to be developed and built. But by then they will have some Dragon V2 vehicles sitting around as well. Then again SpaceX could use all new hardware. With an increased launch cadence there's going to be a lot of these stages sitting in storage making subsequent missions less expensive as well. And Cowing isn't alone in his assessment. As discussed in the May 1st, 2016 Engadget post, "The science behind SpaceX’s ambitious plan to land a spacecraft on Mars," SpaceX’s development of the capability to land and reuse rockets on Earth "was just one more step towards Musk’s bigger ambition, which is to land on Martian soil in a way that has never done before: Without parachutes, airbags or “skycranes,” but rockets alone." The notion was first outlined in a 2012 white paper (under the title Red Dragon: Low-cost Access to the Surface of Mars using Commercial Capabilities) co-authored by Steve Davis, one of SpaceX’s more original thinkers. It noted that the Dragon space capsule, which SpaceX is developing to fly to the International Space Station and back, has powerful built-in engines to allow it to land on Earth (as well as recover safely from a failed launch). It suggested that those same engines, in conjunction with a heat shield, could instead be used to slow the Dragon from a high-speed entry into the Martian atmosphere all the way to a landing on the surface. According to the white paper, "a Red Dragon lander has the potential to be low cost primarily because it would be derived from a routinely-flying spacecraft." The current SpaceX Dragon capsule transports supplies to the International Space Station (ISS). 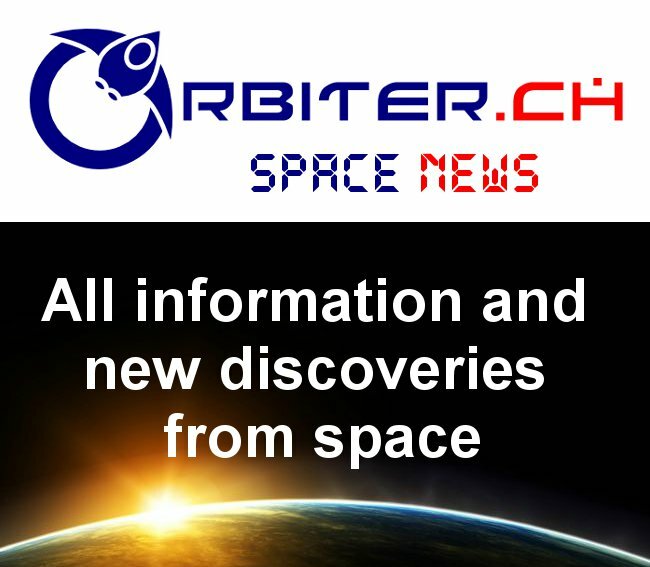 A crewed version is also being developed. As outlined in the May 1st, 2016 Motley Fool post, "With or Without NASA, SpaceX Is Going to Mars," SpaceX has announced that it will also foot the bill for the Red Dragon mission "entirely on its own" and will share data generated by the mission with NASA "free of charge." SpaceX CEO Elon Musk has also offered to outline his future plans to colonize Mars at the upcoming International Astronautical Congress (IAC2016), which will be held from September 26th - 30th in Guadalajara, Mexico. But for those who can't wait until 2018 to see the Red Dragon land on Mars or until September to view Musk in Mexico, the next Falcon 9 launch is currently scheduled for this Thursday. The mission expects to send the Space Systems Loral (SSL) built JCSAT-14 telecommunications spacecraft into a 22,300 mile orbit above the equator. Davis et al's paper models a tonne to the martian surface. With that capability I wonder what secondary payloads could be deployed to Mars-space during insertion.